This will be an immersion experience with Song Dula Lavender Grace Cinnamon, as she facilitates a course into heart song medicine. You will be invited into the place where your heart song lives in coherence, a journey to the inner landscape of unseen music to find the song you are born with. You will discover ways to access the rhythms of your soul, the rhythms that express how you move about this world. You have an epic poem of frequencies and rhythms that composes your movements through life, emitting through a unique melody all your own. Learn ways to listen to this song, it is your own soul language, an intrinsic deep knowing, and can offer great wisdom and medicine for you. This course is an invitation to experience and allow your beautiful expression to come through, as an important, even essential part of life. When you consciously add your “texture” by singing all around you, the world is altered and you become an active part of creation. Will you let your voice share in the the truth of your being? You know your voice belongs to be heard. You are encouraged to be in your fullness. Share your beautiful gift with us all! If you were never taught how to tend to your hearts frequency, or how to tend to your inner landscape of your own creating, please join us. If you have not been educated in these ways to nourish your heart in community, or how to nourish your soul through song, through rhythm, or how to truly share your authentic heart self. This is an amazing shared experienced. The false walls can crumble down through this intentional vibration and practice, the isolation can dissolve through this connection and you can feel the kindred spirit of the world again. These skills of heart song medicine have not been lost, but they have been largely forgotten in our culture, which has left a big gap and so many unable to truly sing. Intuitive Drum Song explores the importance of your own “Frequency and Rhythmic Literacy” with you, a way to access your own true story of you. Lavender Grace Cinnamon is dedicated to offer these tools of Heart Song Medicine for the good of all, and for our evolution. 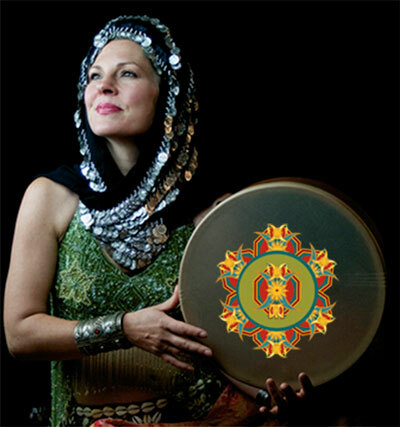 This course of Intuitive Drum Song has been informed by the lands and people of Northern California, combined with the lineage of Celtic Ancestors & the Black Irish full of their Moorish influences and rhythms. She honors those who respect life through the many cycles, the seasons, and the evolutions of our our many diverse beings, deeply instructed by the song, dance and story of the drum. As teacher Lavender utilizes wisdom from the fertile crescent of the Mediterranean, the poetry of mystics, the determination of seekers, and the vigilance of the wisdom keepers. Lavender has been deeply touched and informed by the Bees, their co-existence within the natural world and the lesson they teach to heal our relations with our universal family, with all beings, and all creatures. She offers this shared responsibility to elevate our consciousness. Come, show up, be courageous, you are needed.